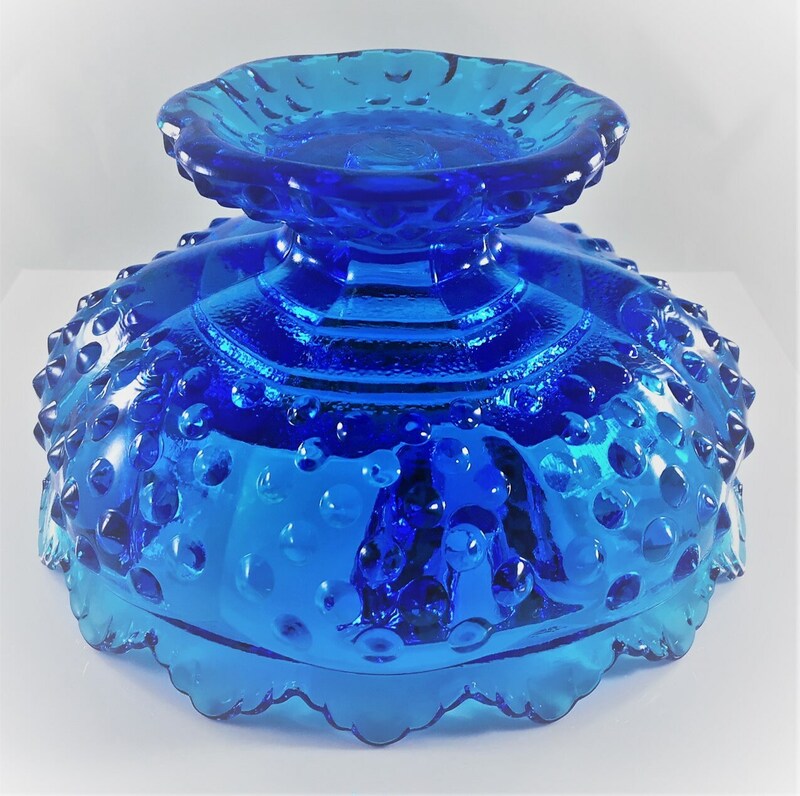 Featured here is a magnificent blue glass hobnail candle holder. 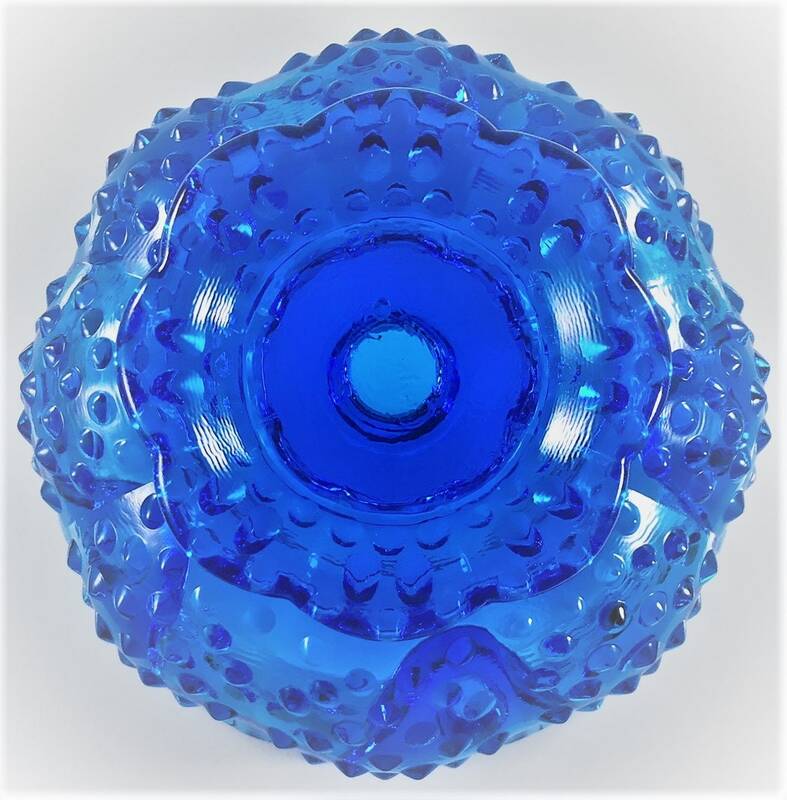 This heavy piece is 6 1/2 inches in diameter and about 3 1/2 inches tall. 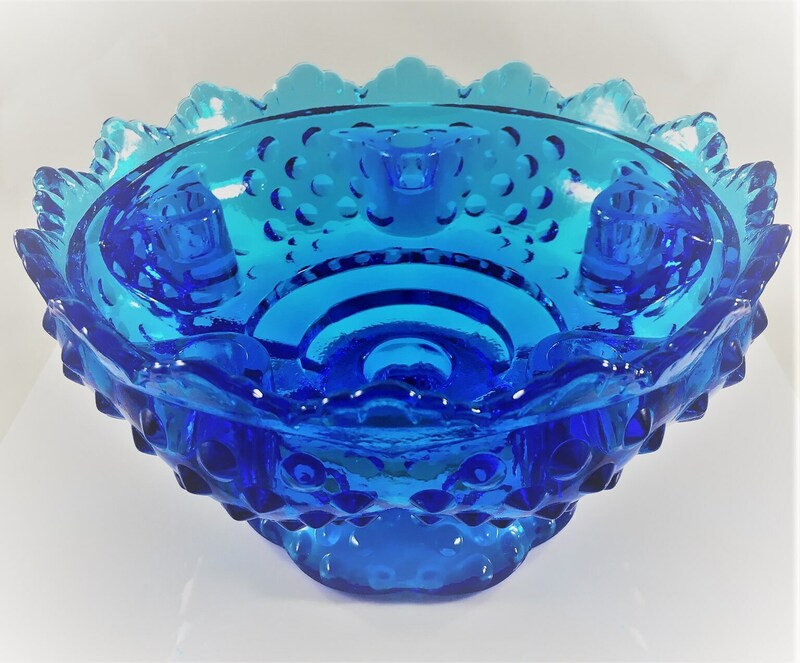 It's very versatile, accepting several different diameters in the center of the bowl and up to 5 tapers around the perimeter. 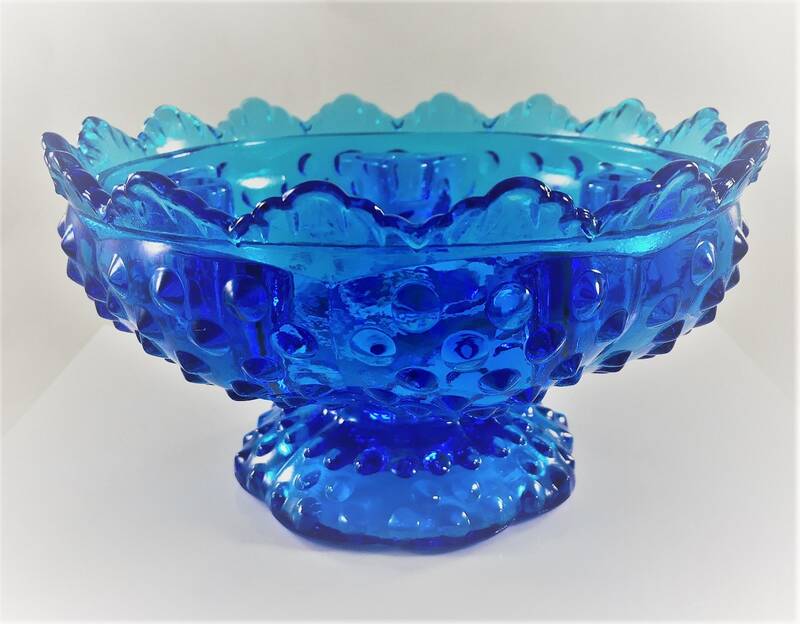 The glass is a deep rich blue color and it is in excellent vintage condition with no chips or cracks. 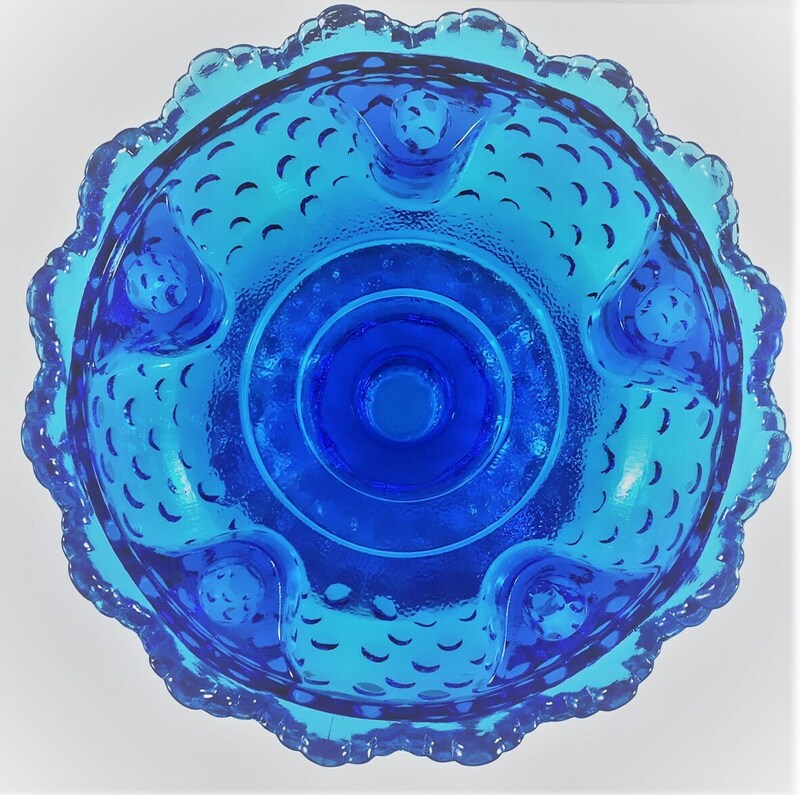 A very lovely accent piece.